Azerbaijan is an important country for the OSCE PA and the organization attaches great importance to cooperation with it, the representative of the OSCE Parliamentary Assembly said at a regular meeting of the OSCE Permanent Council, according to a message from Azerbaijani Foreign Ministry. A statement by the Permanent Mission of Azerbaijan to the OSCE in connection with the April 11 presidential elections in the country was read out during the meeting. The statement reads that the elections in Azerbaijan were held in free, democratic, fair and transparent conditions, with high voter turnout of 74.3 percent, which shows voters' confidence in the electoral process. It was noted that the official results of the elections coincide with the exit-poll data, as well as the polls conducted before and on the election day by influential international organizations, which shows that the results of the elections reflect the will and opinion of the Azerbaijani people. 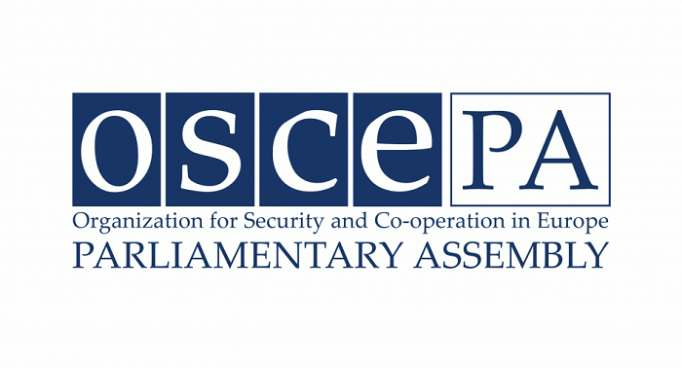 Despite this, as noted in the statement of the permanent mission, the observation mission, consisting of representatives of the OSCE Office for Democratic Institutions and Human Rights, the OSCE Parliamentary Assembly and the Parliamentary Assembly of the Council of Europe, issued a pre-prepared report reflecting subjective, prejudiced claims and an unfair position , which is very regrettable. The statement reads that numerous contradictory and unfounded claims in this report, in general, cast doubt on the objectivity and professionalism of the mission. Representatives of the US, EU, Kazakhstan, Russia, Georgia, Turkey, Belarus, Uzbekistan, Kyrgyzstan, Turkmenistan, Tajikistan, speaking at the meeting, shared their thoughts on the presidential elections in Azerbaijan, and reaffirmed intention to further develop cooperation with the newly elected president and Azerbaijani people.